Sree Muthappan (Malayalam: ശ്രീ മുത്തപ്പന്‍) is a Hindu deity who has a large number of worshippers in North Malabar region of Kerala State, South India. Devotees consider Muthappan and Thiruvappan as manifestations of Shiva and Vishnu. Hence Muthappan wholly represents the idea of Brahman, the unity of God, as expressed in the Vedas. Worshippers believe that if you call Him with Bhakti (Malayalam: ഭക്തി) (devotion), He hears your prayers. 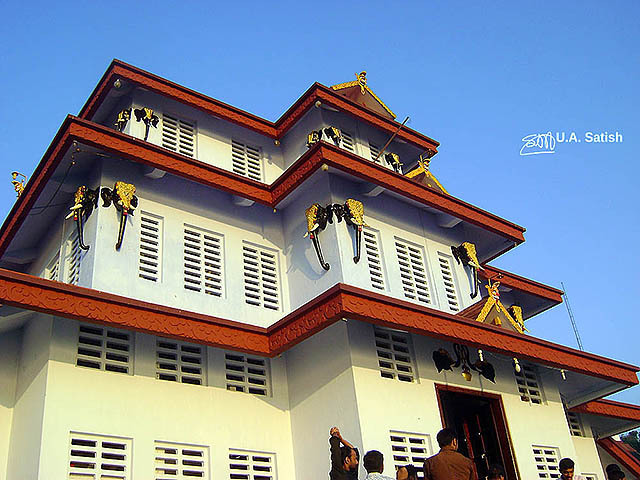 Worship of Muthappan is unique, in that it does not follow the Sattvic (Brahminical) form of worship, as in other Hindu temples. The main mode of worship is not via idol worship, but via a ritual enactment of Muthappan, performed daily at the Parassinikadavu temple. Fish is one of the offerings to Muthappan and people of all castes, religions and nationalities enter the temple and take part in the worship. Muthappan is also the principal deity in the ritualistic Theyyam dance (Muthappan Theyyam) performed in the famous Parassinikkadavu temple. The ritual performers of Muthappan Theyyam belong to the “vannan” community of Kerala. Priests belonging to Thiyya community perform the puja rituals and rites for Muthappan.